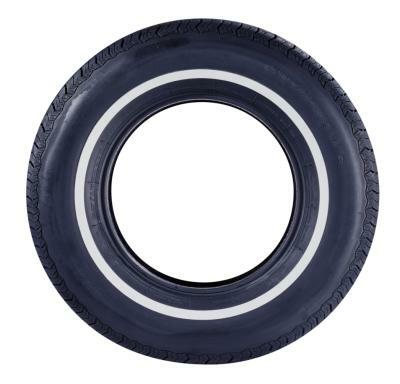 Automobile tires generally come in two colors: all black and whitewall — which are just black tires with a white sidewall on the visible side. While most car owners may be interested in restoring tires to their "like new" black, you may have other reasons for wanting to dye or paint tires — to make a tire swing match outdoor landscaping, for instance. However, aftermarket modifications may require you to use paint rather than dye. Add the desired color dye to the tread compound during creation of the tire. Rubber is naturally white, so carbon black is added to standard tires to create the familiar black. The carbon black has the added benefit of making tires both easier to keep clean and more durable, according to the "Today I Found Out..." trivia site. Bolster the rubber compound with carbon black at approximately 50 percent by weight to give the tires their black color. Add colored pigment to give the tires a different shade, as tire company Kumho inadvertently discovered in the course of its efforts to create "burn" tires that give off colored smoke during burnouts. Kumho used an approximately 10 percent by weight ratio for the dye, which bloomed to the surface of the treads during manufacture. Buy a tire dressing kit or bottle of tire dye that contains a black pigmented polymer in order to dye tires a darker black. These dyes and dressings usually come in two forms: aerosol spray or gel sponge. 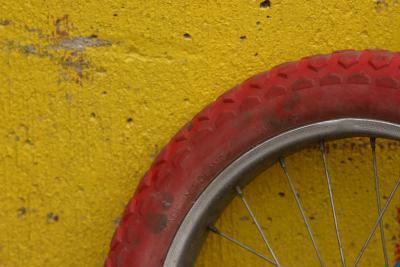 Apply the dye in the appropriate manner, either spraying it onto the tire or rubbing the gel onto the surface by hand. This will restore tires to their proper black color and "wet" luster from the gray they often fade to over time. 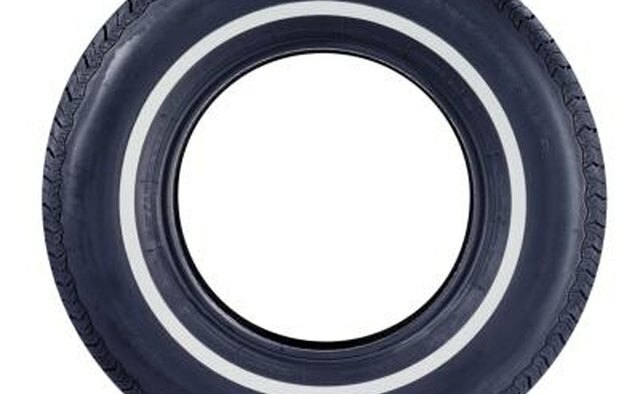 Recolor the tires with a rubber dye if you want to change the color from black. These dyes come in a variety of colors and in either an aerosol spray or quart and gallon cans. Apply the dye like standard paint, then apply a coat of sealant once it is dry to aid in preservation. Paint the tires using a specially made tire paint as an alternative to dye. This may be the most efficient way to recolor tires if you do not want them in the traditional black. Aftermarket products can be used like traditional paint, with a base coat of white then a colored coat such as red. Be careful not to accidentally color the wheels or car body. It may be easiest to remove the tires from the car and the wheel before painting. What Is Dry Rot on Tires?